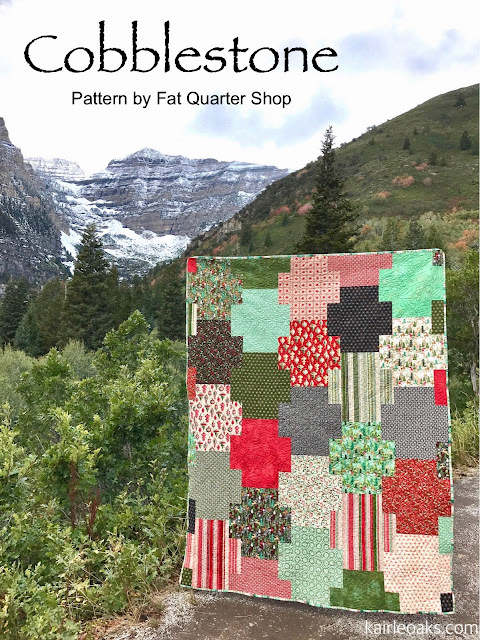 Today I'm happy to share my Fat Quarter Cobblestone quilt, which is part of the Shortcut series by Fat Quarter Shop. 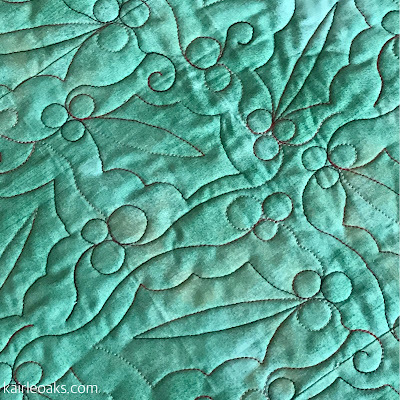 This quilt is great for those of us who enjoy instant satisfaction from time to time. 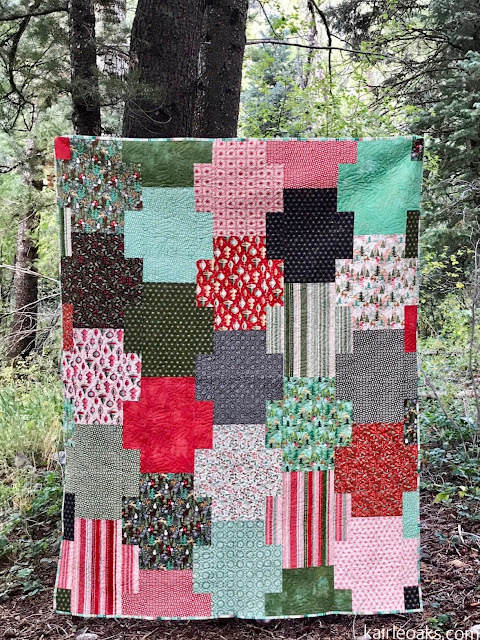 The blocks are big, which showcases your fabrics, the pattern is precise, and all of the pieces go together quickly. 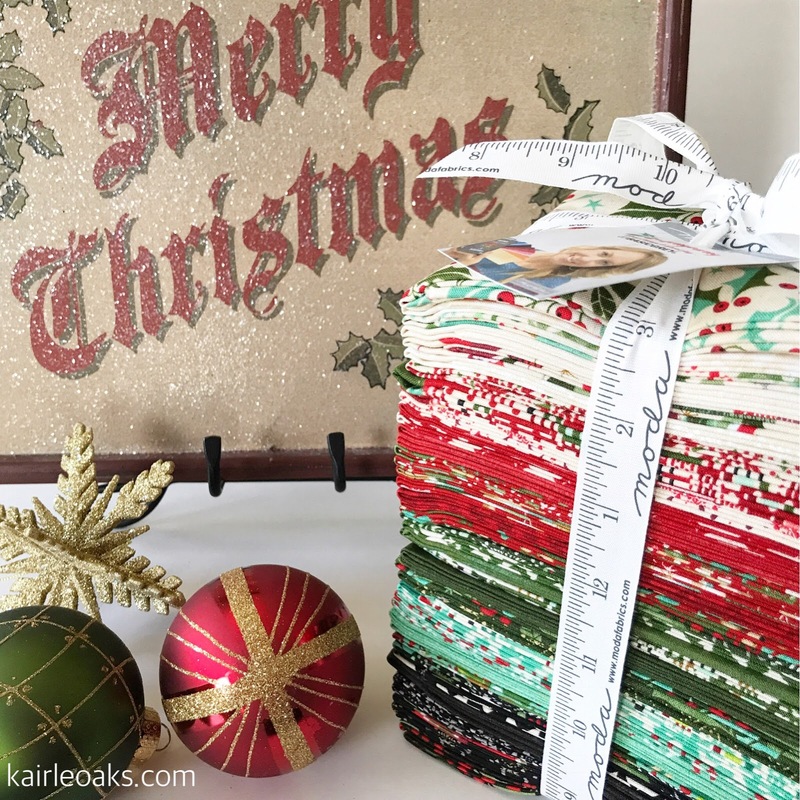 When I chose my fabrics back in August, I wanted to add to my Christmas quilt collection. 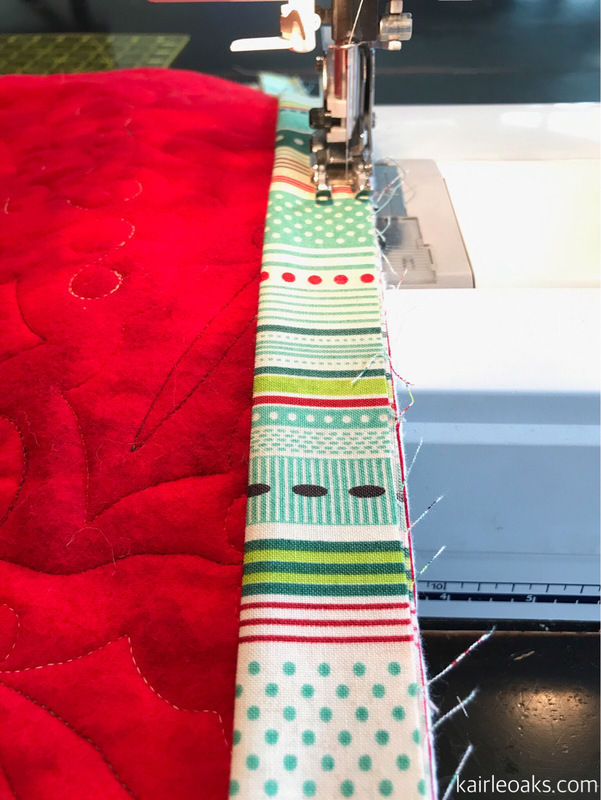 This MerryBerry line by BasicGrey for Moda Fabrics was the perfect selection. This fabric line combines updated prints with traditional color and feel. And the stripes from MerryBerry are perfect for binding! I absolutely love this holly and berry quilt motif, done by Utah Valley Quilting, which really adds to the charm of the quilt. 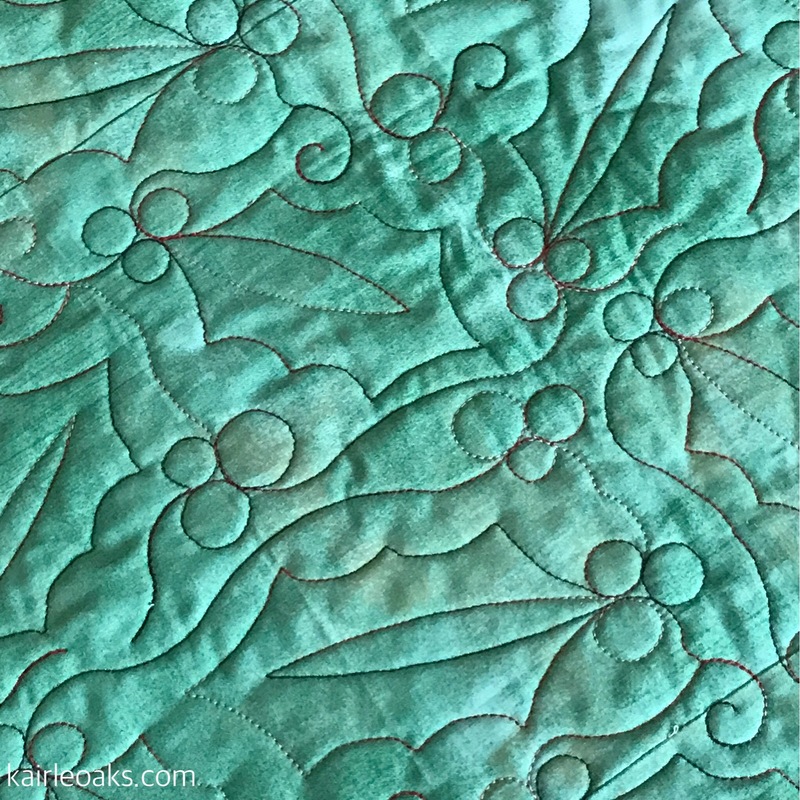 If you're looking for a fun and simple quilt that looks great and goes together quickly, look no farther. This is the pattern for you! Pop on over to the Jolly Jabber for more information on this quilt along. 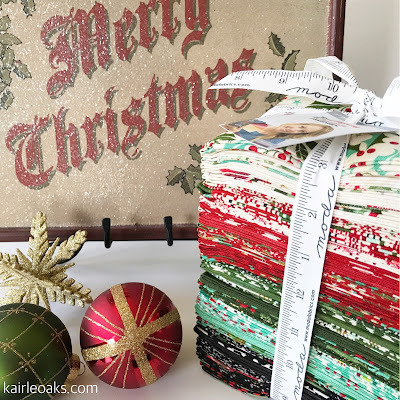 Your quilt looks great in the Christmas fabrics. I like the idea of being able to showcase fabrics in large pieces. Thank you for the lovely idea. Thanks for stopping by, Karen, and for your kind comments.